Respect for the Garden State and its industrial heritage. Yesterday I posted an item about a high-tech, clean-energy company in Vermont, under the title "Burlington Makes, the World Takes." 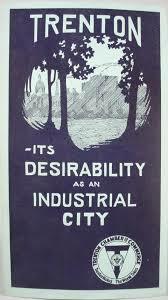 Several people have written in to mention that this phrase is not original to me but in fact is the once proud, now bittersweet motto of Trenton, New Jersey, so prominently displayed as an illuminated sign on its bridge. I know! 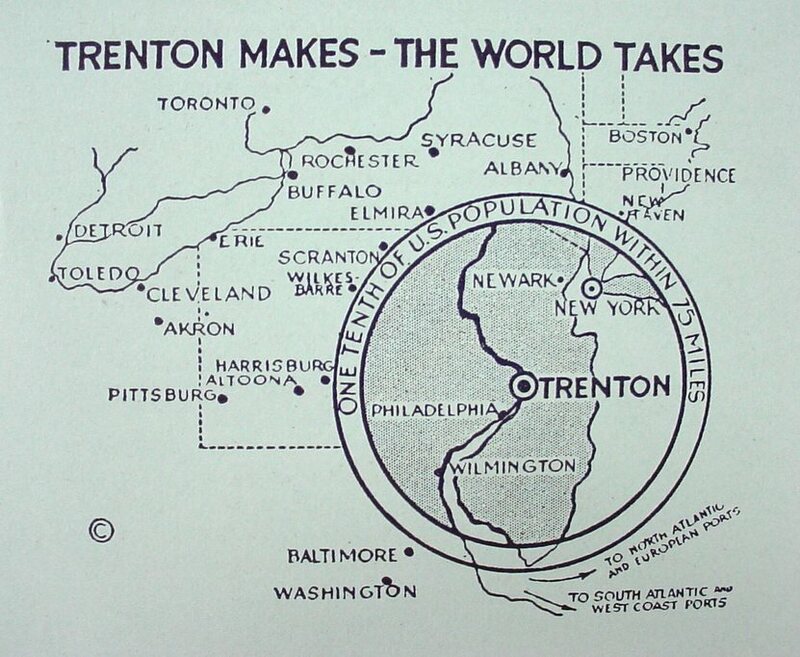 I feel as if I have been conducting a fond, running homage to Trenton and its heritage with a series of articles and items under the Makes / Takes theme. The Makes/Takes slogan was adopted by the Trenton Chamber of Commerce nearly 100 years ago in honor of the countless small manufacturing firms in the area during America’s manufacturing boom of the early twentieth century. One of these companies was for a while run by my grandfather, Joseph Wilkes Mackenzie. Through the 1920s, the Mackenzie ceramics works thrived by producing the small ceramic insulators seen everywhere on power lines and telephone poles. The company’s story has an unhappy ending. My grandfather died in a car crash in 1930, when my mother was three. Soon afterwards the company failed in the Depression, and my mother and her two older brothers had a rough upbringing (though she had a very happy later life). The larger saga of mid-Atlantic manufacturing took a similar downward course a few decades later. That sad story — what we’d now call a de-industrialization — is told by the derelict factories of New Jersey and Pennsylvania now visible along the same railroad line. No doubt this background does something to explain why I am a manufacturing sentimentalist, and why my wife and I have noted the things we've found in Burlington and elsewhere on our American Futures route. People of Trenton: I am not ignoring your role in crafting this slogan! On the contrary, I am honoring it, and looking for signs of the next American cities that can properly make a similar claim. The images above, and the one below, come from the wonderful Stangl Pottery site.